Nobody loves to do laundry, but we all have to do it. The House Plan Shop recommends these six laundering tips for your next load saving you time and money. We’ve even include a few tips to help keep laundry chores a little more earth-friendly. 1. Clip coupons – It is easy to find discounts on laundry detergent, stain removers and dryer sheets in the weekly coupon circulars. Check out the website of your favorite detergent company for online coupons. 2. Stop over-laundering – Your clothes only need to be cleaned when they look, feel or smell dirty. Get double use out of your clothes before you wash them. Air out barely worn garments on a hanger and then return them to your closet for another wear. 3. Measure detergent – Most laundry detergent companies have begun using highly-concentrated formulas for regular and high-efficiency detergents so you may need less detergent than you are used to using. Read the label and carefully measure the detergent for your next load of clothes. Not only does using too much detergent per load waste money, but all the extra detergent leaves a residue on your clothes and washing machine. 4. Use cold water – When it comes to energy use, most of the energy consumed in laundering is used to heat the water. Many leading detergent companies now produce a cold water formula that does not require the use of hot or warm water for washing. Heavily soiled items as well as bedding and clothing used when sick often require hot or warm water for washing, but they can always be rinsed in cold water. 5. Select a shorter wash cycle – Slightly soiled garments will only require a short wash cycle to get them clean. This uses less energy and water resulting in lower utility bills. 6. 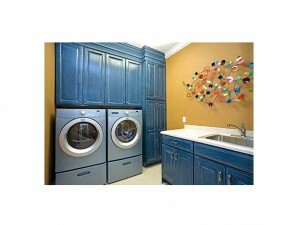 Do not over-dry – Consider air-drying dark colored clothes. This keeps them looking vibrant, preserves elasticity in stretchy clothes and cuts energy costs. When you use the dryer, use automated settings. Today’s machines have sensors that eliminate over-drying, which can cause garments to shrink and cloth fibers to become brittle. From clipping coupons to washing in cold water and air drying your laundry, these helpful laundering tips are sure to help save time, money and energy. With the big push toward green building these days, more and more manufacturers are coming up with ways to use recycled materials to create new building materials. Below are five such items. Talk to your builder about the possibility of incorporating these materials or others like them into the construction of your new home. 1. Aluminum Panels: Not only do aluminum siding and roofing panels use recycled materials, but they can be recycled again at the end of their life cycle. For instance, in 2003, flat-rolled, construction grade aluminum manufactured in the US used 80-85% recycled content. Recycled aluminum requires 95% less energy than virgin metal and reduces water pollution by 97% and air emissions by 95%. 2. Concrete: Coal burning power plants produce fly ash as a waste product. Typically, the wasted ends up in landfills. But, some earth-friendly concrete manufacturers have found a way to mix it with lime and water creating a usable mixture similar to Portland cement, a major component used in concrete driveways, sidewalks and foundations. This fly ash compound is a superior building material because the coal combustion creates tiny spherical particles that make the mixture smoother and reduce friction during mixing and pouring. 3. Insulation: Insulation is available from a few different recycled materials. The most commonly known insulation made of recycled materials consists of recycled newspapers that are shredded. Denim, such as old blue jeans, has also been reused and transformed into insulation. Recycled paper insulation is more readily available because newspapers are produced and distributed in mass quantities making it easier to collect and reuse for insulation. 4. Trex: This compound is an ideal alternative to wood. It consists of a combination of recycled plastic and reclaimed wood. Plastic shopping bags are the main source of its plastic fibers while sawdust and used shipping pallets make up the wood portion. 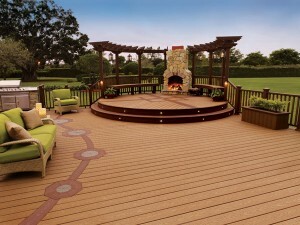 Trex’s unique combination of plastic and wood fibers creates a wood-like material that is more durable than standard wood. The plastic protects against any damage from moisture and insects. The role of the wood is to prevent UV damage that is common with plastic materials. Trex products include many of the things traditionally made from lumber such as fencing materials, railings, boards for decking and trim products. 5. Salvaged Wood: Salvaged wood is becoming more popular in new home construction. Any wood taken from a pre-existing construction project, such as an older home or building that is being torn down, and is reused in a new construction project is considered salvaged wood. This can include anything from wooden beams, doors, flooring and decking. Sometimes old wood, or salvaged wood, offers an advantage in new home construction. In some cases, new wood is not thoroughly dry, which means it may shrink overtime causing the new home or building to shift. Old wood is fully cured and dry. It will not shrink so there is no worry about the building shifting. Another advantage of old wood is its size. Trees used for lumber in the past were larger in girth meaning old trees and old wood have fewer knots. Salvaged wood and salvaged wood products are available through dealers that specialized in reclaimed wood and at some salvage yards. For additional information on green building, check out The House Plan Shop’s resource section. Technically, it may still be summer, but soon our thoughts will turn away from swimming pools and vacations and focus on back to school preparations. When you do your back to school shopping this year, consider what your children are going to eat and how to make those choices good for the planet. Believe it or not, part of living green is packing a healthy lunch. A waste-free lunch can be healthy and nutritious for your child and healthy for the environment. Get in the habit of packing a healthy “green” lunch. It will have a positive impact on your child, the environment and your wallet. Most kids don’t have a lot of time to eat lunch so keep it simple, healthy and tasty. Pack things your kids will eat and remember to use portion control. 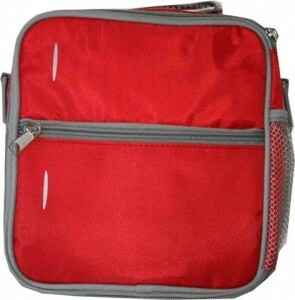 · Reusable canvas bags, nylon sacks or lunch boxes. · Reusable and washable plastic or metal food containers for food and drinks. · Reusable and washable cloth napkins. Remember packing waste-free lunches isn’t just for school kids. Adults can enjoy the benefits of healthy meals, portion controlled lunches and the accompanying savings! So, pack a healthy lunch for your child or yourself, save money and reduce waste! It is the green way to eat lunch!